Prepare yourself for the cheesiness of the following sentence: Peter Capaldi has exterminated any possible fears one might have regarding his regeneration into the twelfth Doctor of Doctor Who thanks to an adorable video. Speaking to a tinier fan of the BBC sci-fi series, Capaldi laid to timey-wimey rest the fear that comes when your favorite raggedy man in a magic blue box (in this case, eleventh iteration Matt Smith) has changed his face and demeanor. 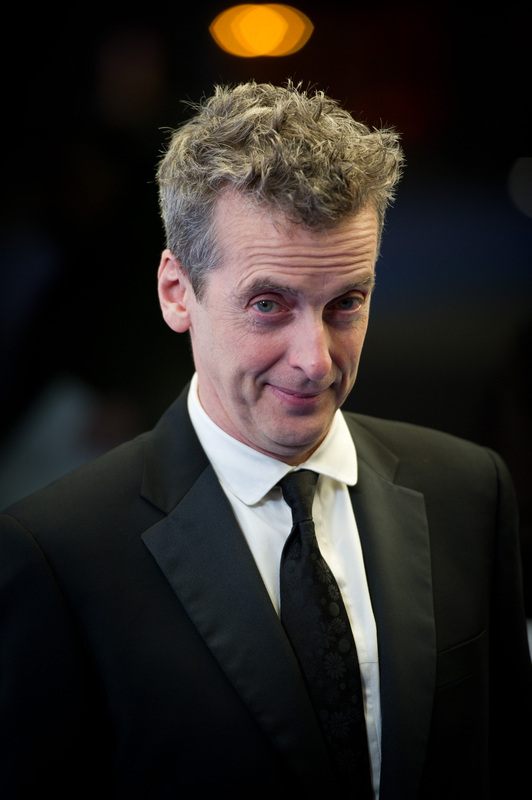 Thankfully the young fan approves: it's OK for Capaldi to play the Doctor. While filming for the forthcoming eighth season of the rebooted series, Capaldi and his co-star Jenna Coleman were approached by a young girl and her family, who admitted the tiny Dalek was having a hard time wrapping her head around Smith's regeneration into Capaldi. Seems as though she was afraid her imaginary friend the Doctor wouldn't want to play with her anymore now that he has a new face and demeanor. Considering just how hard change can be for children, it's a heartwarming feels fest of a video, and it's sure to ensure any naysayers that Doctor Who is in very capable hands with their choice of new Time Lord. Doctor Who has many a change planned for the upcoming season, and not just with the Doctor's face: the series also recently cast a new companion, Danny Pink (Samuel Anderson) in an attempt to update the now-old formula. Showrunner Steven Moffat has promised "There would be little point in making as radical a change as we’ve made unless you're going to go quite different with the Doctor. The last two Doctors have been brilliant, and have been your 'good boyfriend' Doctors. But the Doctor isn’t always like that. There is the sort of Tom Baker, Christopher Eccleston end of the spectrum, where he is mad and dangerous and difficult. I think it was time for the show to flip around a bit. The new version of the show is quite old now. It’s very old… We need the kick-up-the-arse Doctor, in a way, to frighten you and make you think, oh, it’s a different show again."